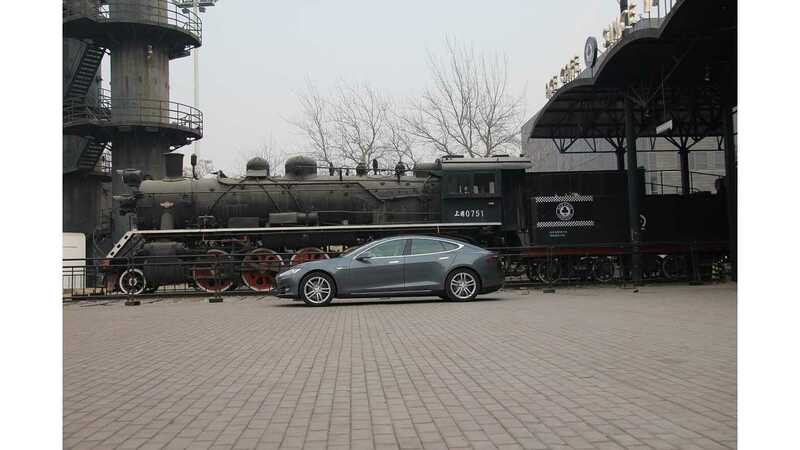 "At the recent delivery ceremony of Tesla’s first batch of Chinese orders in Beijing, two PV charging systems caught the eyes of the guests. The system was requested by Tesla Motors, and designed and manufactured by Hanergy Solar Group. Hanergy thin-film flexible PV system was Tesla’s first choice for the first PV Supercharger station in China." 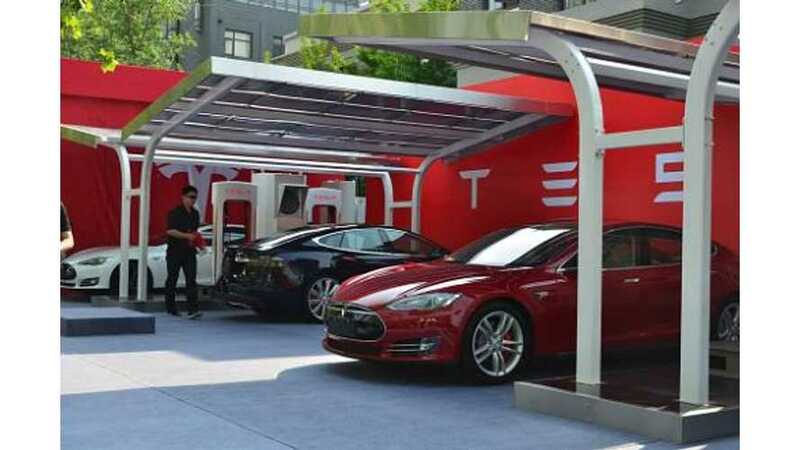 Though the solar Superchargers seen above are in Beijing, China, Tesla Motors opened a similar Supercharger site in Shanghai, China. "Hanergy Solar Group will deliver two solar carports, each in Beijing and Jiading, Shanghai. The Beijing carport, a mobile carport designed to be assembled and transported, adopts Hanergy’s GSE flexible thin-film solar modules. 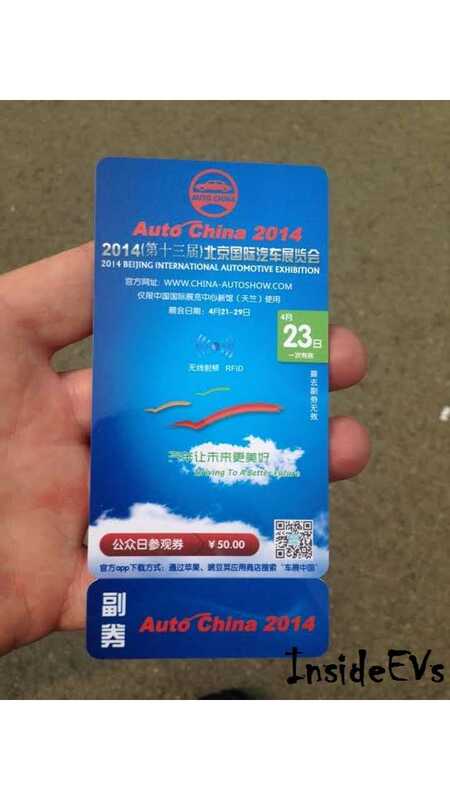 The Shanghai carport will be a fixed structure, and adopts Hanergy’s MiaSole CIGS high-efficiency modules. The first phase of both carports has been completed." But wait, there's more in the work. Musk says that Tesla is already in the process of building 7 Supercharger networks in China, all of which will be solar-powered units with energy storage systems.. They'll be open 24 hours a day, 7 days a week. 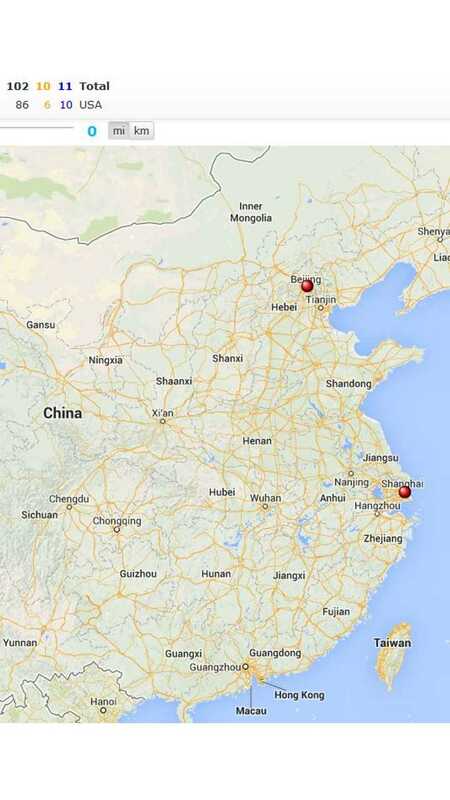 The first of those networks will be in Beijing and Shanghai. "The PV charging system by Hanergy Solar Group protects vehicles like ordinary carports while converting sunlight into electricity utilizing its designated rooftop. At the same time, the system charges the electric vehicle through its energy storage system. The system uses the CIGS thin-film PV technology, the most advanced in the world. With conversion rates peaking at 20.5%, this technology offers light weight, flexibility, excellent low-light performance and advanced packaging. More importantly, no fixed column is required, which significantly reduces the cost. The carport is mobile, beautiful, modern in appearance, and a perfectly integrated to city surroundings, providing convenient and fast charging services to electric car owners." China's dependence upon coal for electricity is what convinced Tesla Motors that all Superchargers in China will rely on the power of the Sun and be supplemented by energy storage systems.